It may be true that the Theater District and Times Square need no introduction. Certainly, there are few more famous, or more visited, places in the world. Bright lights. Big city. Big crowds. Big celebrations. Big Apple in all its glitzy glory. 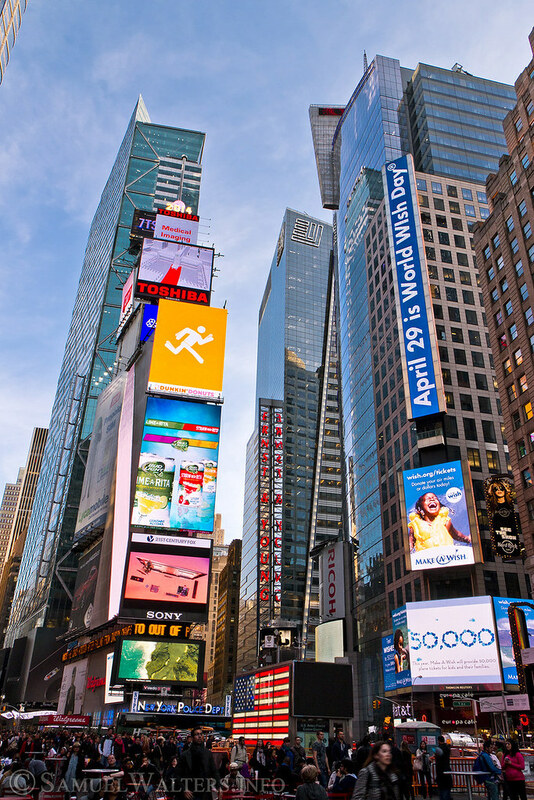 While the entire Theater District stretches from West 40th Street to West 53rd Street, between 8th Avenue and 6th Avenue, Times Square itself is constrained to the blocks immediately surrounding Broadway between West 42nd Street and West 47th Street. But the density of shops, lights, performers, theaters, tourists - and tourist traps - in Times Square is dizzying. There's a genuine energy and vibrance that is incomparable anywhere else in New York City. Beyond the brightest lights of Times Square, classic theaters, restaurants, and towering hotels make the Theater District a beacon of commerce, wealth, and tourism. No wonder most native New Yorkers avoid the neighborhood ... unless they're entertaining out-of-town friends and relatives.